You should be re-directed to another page momentarily. If not, please visit site://ACAD-BUFIN-it.miami.edu/a-z-listing/adobe-creative-cloud/index. Acrobat Professional is application software developed to view, create, manipulate, print and manage files in Portable Document Format (PDF). Faculty, Staff & University Departments: The University has entered into a site license for Adobe Acrobat Professional. It can be downloaded onto any University owned computer. 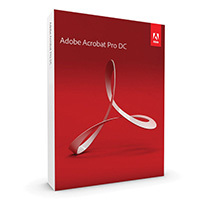 Faculty, Staff & University Departments: Click here to download Adobe Acrobat Professional.